Woodside Homes will unveil, Remington, its newest collection of single-family homes at Audie Murphy Ranch this Saturday, November 1st. Homebuyers are invited to explore the professionally decorated models and find the design that best suits their needs. Set amidst 1,100 rolling acres and surrounded by mountain vistas, these spacious new homes in Menifee feature one and two-story designs with up to 5 bedrooms and 3.5 baths. Discover more about Remington today! 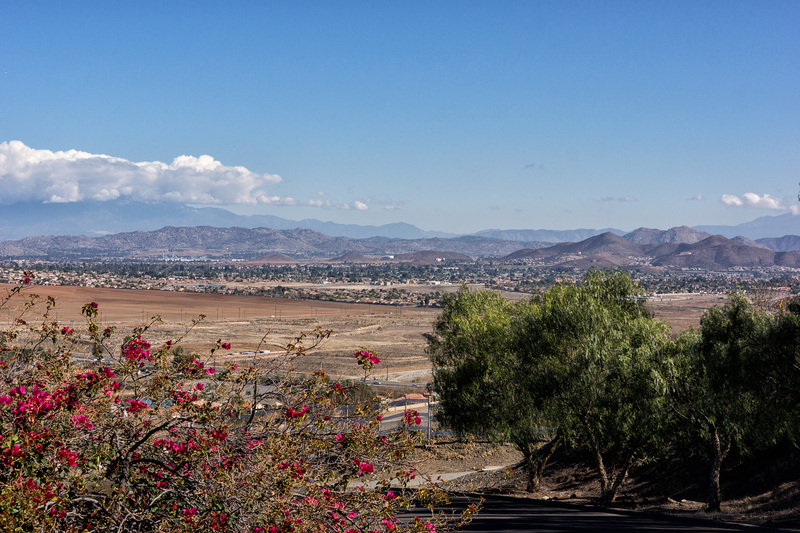 While living at Audie Murphy Ranch, surrounded by rugged silhouettes of the San Jacinto and San Bernardino mountains, residents have the convenience of being just moments away from business and leisure. 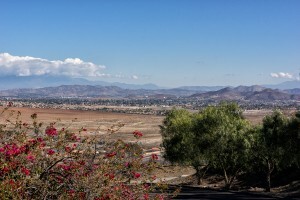 Located near the I-15 and I-215 freeways, homeowners are easily connected to employment in San Diego, Orange County, Riverside and San Bernardino while popular shopping and dining options such as the Menifee Countryside Marketplace are located nearby. Families also have access to impressive public schools and a host of resort-style recreation awaits just steps from home. Visit Audie Murphy Ranch today and discover the assortment of new home opportunities that await! 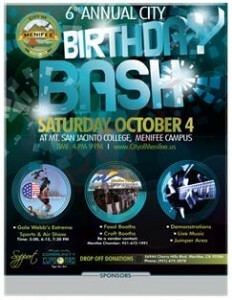 The City of Menifee will host its 6th Annual City Birthday Bash on Saturday, October 4th from 4 p.m. to 9 p.m. at Mt. San Jacinto College, Menifee campus. Perfect for the whole family to enjoy, there will be craft booths, food vendors and live music. At select times throughout the evening, guests will also have the opportunity to enjoy Gale Webb’s Extreme Sports and Air Show. Come celebrate with the city! For more information, please visit cityofmenifee.us.